I never told you about this sushi place we went to while we stayed in Kyoto last November. After a long day of biking around Kyoto visiting temples and gardens, we biked past Musashi and I managed to convince my non-sushi-loving family to go there later that night. 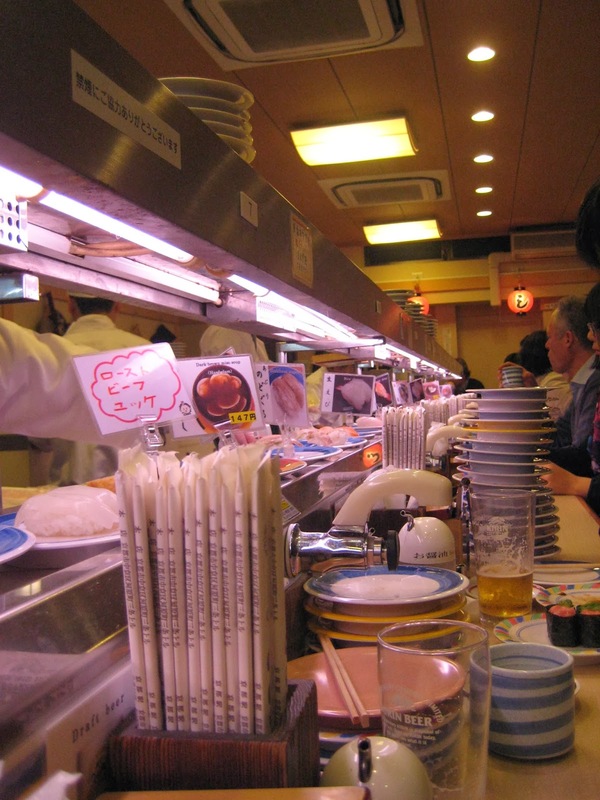 Musashi is one of those typical conveyor belt sushi places like you'll find in Europe, except here you're guaranteed the sushi is fresh and delicious because it's super busy and the chefs are constantly making sushi. The sushi was pretty basic but fresh and better than most cheap sushi places I've tried in Europe. 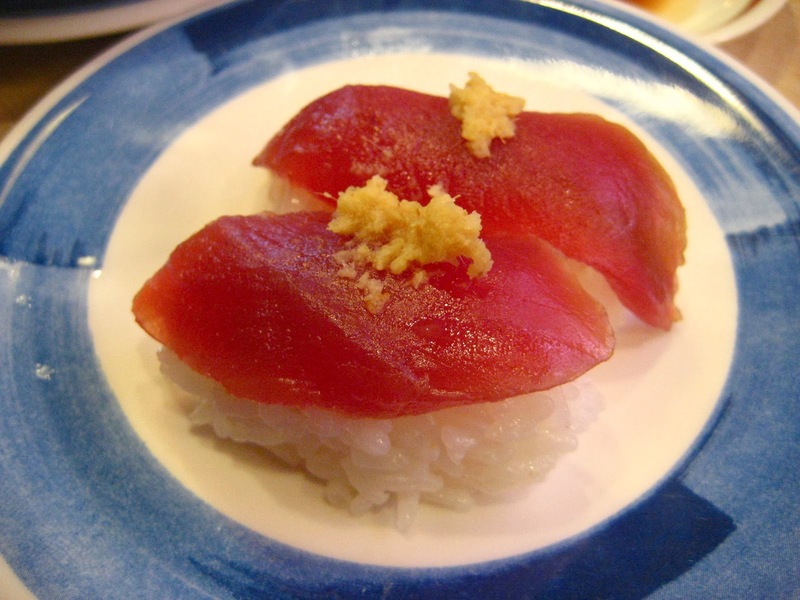 It's also the cheaper sushi I've ever had: one plate cost 137 Yen... which is less than 1 euro! It can't get any cheaper than that I think. On top of that, there's a hot water tap and green tea bags so you can drink as much green tea as you like (this was normal in a lot of places in Japan, even the gas stations). This was one of my favourites: shrimp topped with avocado, mayonaise and sliced onion. Doesn't look or sound great, but I loved this! The only one I advise you to avoid is the "oral squid". Nearly impossible to chew and has a really weird flavour.